Developed by Asia’s leading authorities on strength and conditioning, the Evolve WarriorFit Program is a non-contact circuit training program with a strong focus on fitness and fun. Based on the strength and conditioning programs of professional fighters, the Evolve WarriorFit Program will get you as fit as a professional athlete in a safe, fun, and supportive way. The primary focus of WarriorFit is to get you into the best shape of your life using movements and conditioning exercises from various martial arts disciplines. The WarriorFit Program at Evolve MMA is a fun and challenging workout based on the strength and conditioning program of the Evolve Fight Team, Asia’s most decorated professional fighting team. The program is designed by martial artists for martial artists, and it draws upon the over 1,000 years of championship experience of the Evolve World Champion Instructor Team. WarriorFit builds cardiovascular strength, power, flexibility and muscle, using a wide range of functional exercises to create an exciting, high intensity workout. 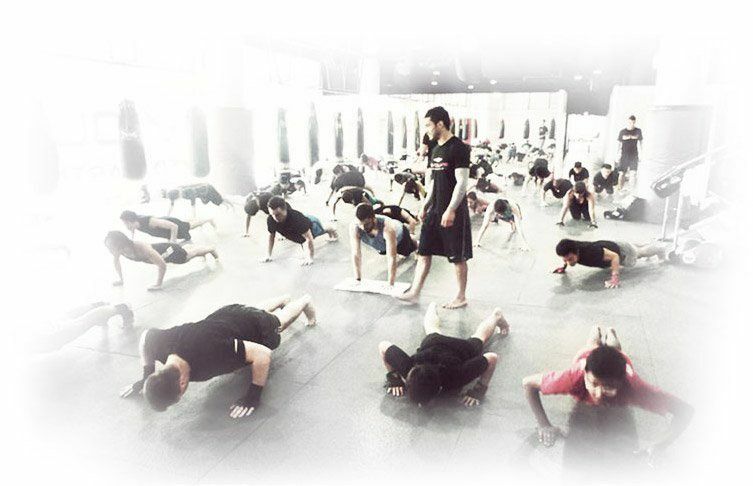 If you are looking for a world class circuit training program in Singapore, then Evolve’s WarriorFit program is for you! WarriorFit for Beginners is a perfect introduction to strength and conditioning training. This class focuses on a mastery of the fundamental exercises and movements of the WarriorFit Program. We will ensure that you are learning perfect form and technique for each exercise. Through this class, newcomers to circuit training will have the opportunity to build a solid foundation before jumping into much more advanced and physically intensive workouts. By learning the exercises the right way you ensure that you will receive the maximum benefit from WarriorFit while remaining injury free. WarriorFit is about good health and fitness. It is about shedding unwanted weight, losing body fat, getting toned, and improving your cardiovascular health. Based on the intensive training programs of professional athletes and fighters from around the world, the WarriorFit Program is a non-contact program designed to get the average person into incredible shape. Many elements of the program are taken directly from the training program of the Evolve Fight Team, Asia’s most decorated professional fighting team. The benefits of including WarriorFit in your training regimen are endless. WarriorFit teaches you to be a better athlete, which translates directly into better performance in your martial arts training.